Did you hear anything about of GP locum agencies? These days, health care GP locum agencies are gaining a lot of importance in the UK. Locum in general sense means working in a temporary position as a substitute for another professional for a specific period of time. Though when associated with the healthcare sector locum is really referred to the physicians who work in absence of permanent doctors in hospitals. GP Locum doctors actually fill in the empty positions so that it does not affect the working of hospitals and to provide continuous medical aid to the patients. Many hospitals tend to hire locum doctors when they are short staffed or when a permanent resident of the hospitals needs leave. Thus, in order to fulfill the increasing demand for locum doctors and other medical professionals, locum agencies came into existence. Healthcare locum agencies are quite popular in UK. These agencies help in recruiting doctors across the range of grades and specializations. GP Locum agencies for doctors UK have wide range of contract and their work had to place you through the right working environment as per your requirements. In addition, these agencies act as an intermediate between recruiters and hospitals and thus also provides their service to the employers in filling the vacancies to their hospitals. Healthcare GP locum agencies specialize in recruiting a variety of positions in the medical industry, which includes general practitioners, surgeons, physicians, psychiatrists, nurses, medical assistants and radiologists. These days, doctors choose to work as a locum physician through locum agencies as this will help them manage their professional and personal life with more ease. These jobs suits more to their lifestyle and to the families that a permanent doctors miss to have while committing to their professional duties. Plus it helps them gain more experience and knowledge while working in different hospitals and with more experienced professionals. GP Locum agencies for doctors remain in touch with all the major hospitals and clinics UK. Thus, it can help you get placed as a medical professional even in national health services (NHS) with utmost ease. The best about GP locum agencies is that they don’t charge any fees from locum recruiters, and just charge a small admin fee from the employers for filling in vacancies in their hospitals or clinics. 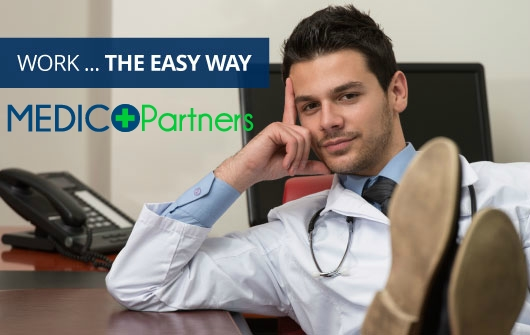 So, if you are looking to get yourself enrolled for a GP locum job, then register yourself with a nice healthcare GP locum agency today itself!